Want to change your interior look with stylish furniture? Then shop at Your Home Furniture, where you can find an immense collection of lounges, sofas, mirrors and much more. 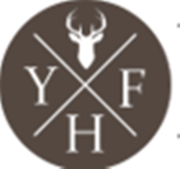 To shop, visit http://www.yourhomefurniture.com.au/product-category/living/sofas-sunshine-coast/. This extremely popular couch is available again soon, with more stock arriving early March 2018 - Pre-order now to secure your new Chaise Sofa. To learn more, please visit: https://chaisesofas.com.au/collections/bonded-leather-sofas/products/bonded-leather-5-seater-lounge-suite-with-chaise-and-storage-ottoman-in-cream. The Ashmore four seat corner couch complements either a classic or contemporary design and is effective and straightforward. A plush blended linen-like fabric upholstery in Pewter colour with plump cushion backs and inner-sprung seat cushions for maximum comfort. This lounge suite has bonus... To learn more, please visit: https://chaisesofas. This three seat and cosy two seat couch set will make the most of any compact living area or difficult to furnish room. This design is contemporary and ideal to adapt your seating area for a new look. Each couch... to learn more, please visit: https://chaisesofas.com.au/collections/sofa-suites/products/broadstone-five-seat-leather-impress-sofa-set-black. Beautiful handmade custom furniture made from recycled and repurposed materials. Our furniture is nothing short of exceptional but don’t take our word for it, have a look at our comprehensive range on the website. If there’s something you have in mind which you can’t find, get in touch and we can help you bring your ideas to life. Chaise Sofas is a family owned, direct to the public, discount furniture business specialising in self-assembly L-Shape Lounge Suites, Chaise Sofas and Corner Lounges. See our selection at 5 Irvine St Bayswater Western Australia.. Looking to add vinyl material into your next upholstering project? For a fantastic range of high quality upholstery and upcycling supplies in Australia, there’s only one place you need to go. Visit the Wortley Group website today and see our luxuriously stylish range for yourself! https://www.wgshowroom. Decorate your living room, bedroom, kitchen and dining room with our contemporary range of furniture available at Home Concepts. Our sofas for sale in Melbourne provide all-around comfort and peace of mind that other couches can’t. Because they can adapt to most spaces and styles, and can forever look like new. Rise the beauty of your interior with the modern furniture at Your Home Furniture in Sunshine Coast, it provides only the superior quality products to the customers. 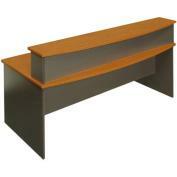 To place your order, please log on to http://www.yourhomefurniture.com.au/product/staten-dressing-table/. ConnectFurniture offers more than 50, 000+ products that you can buy directly from the retailers online or at their furniture stores in Sydney, Brisbane, Melbourne and other parts of Australia. Check out the wide range of furniture from home to office, commercial furniture, rugs, lighting and more at attractive price. Enhance the beauty of your space with the latest furniture at Your Home Furniture in Sunshine Coast, it provides only the best quality products to the customers. To place your order, please log on to http://www.yourhomefurniture.com.au/product/industry-round-coffee-table/. Buy from Australia’s No 1 site for all kinds of furniture with ConnectFurniture. Shop for outdoor dining furniture, outdoor furniture, home furniture, office furniture and more with furniture clearance sale in Sydney, Melbourne, Brisbane and across Australia. Explore the site online or furniture factory outlets and get up-to 40% off on select items. 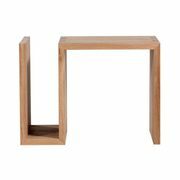 If you love minimalist design and clean crisp lines furniture in different natural and light tones? Than Scandinavian furniture is what you are looking for. ConnectFurniture offers a wide range of Danish and Scandinavian furniture at affordable price. You can buy them either online or at the retailers store near you. Shop a wide range of Coffee & side tables products for a living room and more at our online shop at Home Concepts.We stock a stunning range of Danish and Scandinavian furniture pieces including Danis beds, sofa, occasional tables and coffee table. No matter whether you require a small dining table for your kitchen or danish beds for your bedroom, we have a furniture to fit your home and budget. Reality Furniture is a South Australian company, that specializes in individual custom design pieces to suit the needs of their customers. They are very flexible and off a wide range of fabrics, leather, sizes and comfort levels.Reality Furniture is a South Australian company, that specializes in individual custom design pieces to suit the needs of their customers. 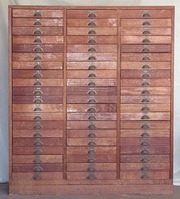 Vintage wooden filing cabinet, 60 drawers, 1270 wide, 1450 high, 300 deep, (fits foolscap paper). Original condition including finger grips..
Ottoman, never used. Dense foam, upholstered on MDF base. – 900 x 900 x 490 mm $150 Cherry red, faux linen, solid construction on casters. Never been used as it is not suitable to our new residence..
Not finding the right quality for your furnishings when it comes to picking the right upholstery material? Luckily, there is a solution to your woolen woes. Contact Wortley Group, and browse our wide range of designer materials that will add a dash of luxury to any lacklustre lounge. https://www.wgshowroom. King Koil Queen Ensemble (Chiro Firm) excellent condition, 3 years old as new. Leeming area, price negotiable..
Great designs and good quality stand the test of time. At Victorian Mosaic Tiling, we carry an array of classic tile, furniture to complement your style and budget. Visit our website to shop for custom and mosaic tile-outdoor furniture, indoor furniture, modern bathroom tiles, home décor, unique Victorian tiles & accessories to recreate your home! For more information, please visit our website today. Enhance the beauty of your living room space with modern designed mirrors and lounges, available at Your Home Furniture online store, offers quality furniture at the best prices. To buy, log on to http://www.yourhomefurniture.com.au/product-category/lounges/modular-lounges-sunshine-coast/. Are you looking for reception desk & counter in Australia? Get the perfect furniture piece for your reception area with ConnectFurniture.com.au, Australia's leading online furniture store. Choose from over 200 reception desk and counters to match your requirement. Buy online or from retailer for reception desks in Melbourne, Sydney and across Australia with us. ConnectFurniture offer Big New Year Sale on outdoor furniture like outdoor daybeds, sunlounges, outdoor dinning settings, outdoor chair & tables and much more. 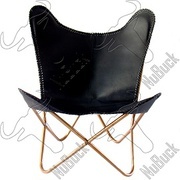 Buy outdoor furniture at Special New Year Deals price and enjoy your new year with your new furniture. For more information feel free to contact us at +61 1300 650 010 enquiries@connectfurniture. Electric recliner lift chair, laz e boy in perfect condition. Beautiful cream coloured upholstery, very comfortable, as new. Still have receipt, it only used for a short time after surgery..
We endeavour to supply furniture that deinstitutionalises the facility and provides a homely feel - making the residents more comfortable in their new home. Moving from their own home into a facility is stressful and if we can help ease that, we feel that we have done our job well. Business ABN: 83 088 319 304 Website: https://icfgroup. Have a look at Your Home Furniture online store, it has a wonderful collection of large mirrors and industrial furniture to enhance the beauty of your space in Sunshine Coast. To buy, click here http://www.yourhomefurniture.com.au/product-category/mirrors/hanging-mirrors-sunshine-coast/. Furniture for sale Australia ads Australia, Furniture for sale classifieds Australia, Furniture for sale free ads Australia, ads for sale Australia, ads to buy Australia, FREEADSAustralia Page number 8-1. Find here ads for sale, to buy and rent in Australia. Goods for sale in Australia, vehicles for sale in Australia, Australia real estate for sale, Australia property for sale, property for rent in Australia, business ads in Australia, Australia business classifieds, services in Australia, Australia services ads, jobs in Australia, pets for sale in Australia, Australia dating, Australia cars for sale.